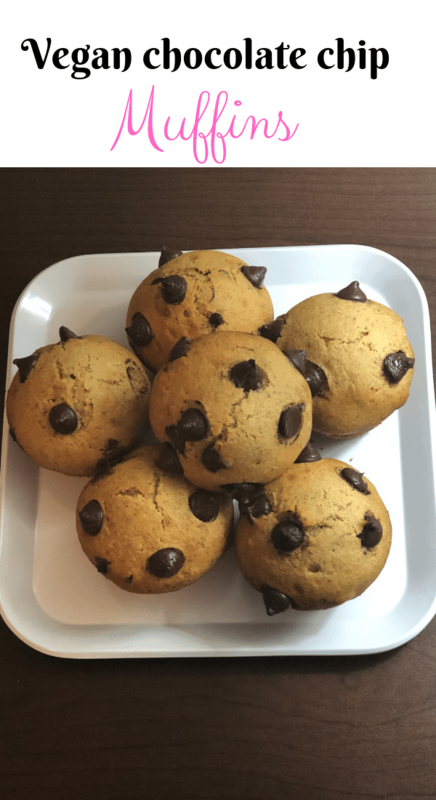 Chocolate chip muffins are excellent for breakfast or as a snack. My kids love muffins hence I make them at least once or twice a week for breakfast. They like these chocolate chip muffins so much, but they have no idea they are vegan. They lack butter, dairy milk, and eggs but are still very delicious. 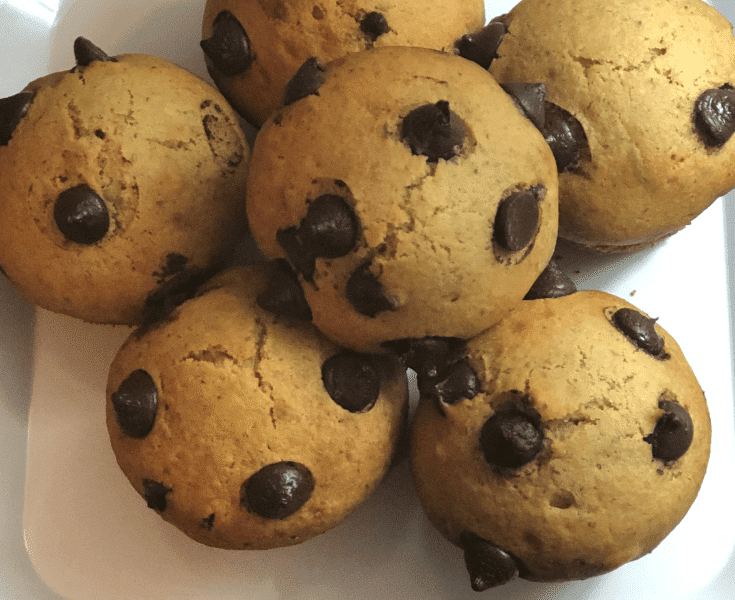 These chocolate chip muffins are dairy free, soy free and egg replacer free. I have used all-purpose wheat flour, honey, chocolate chips, olive oil, flaxseed ground, and cashew milk. Flaxseed ground acts as a binder. 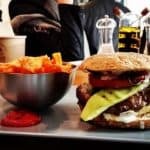 It also adds healthy omega three fatty acids and proteins to the muffins. They have a low glycemic index hence helps to slow down the breakdown of the starch in the flour. The chocolate chips and honey add sweetness to these muffins. They also add chocolate like flavor which makes the muffins delicious. 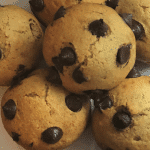 These chocolate chip muffins are crispy on the outside but are soft and moist on the inside. They are great for breakfast, you can, therefore, have them with a cup of hot tea or coffee; I hope you will enjoy them. Making these muffins is straight forward. First, preheat the oven at 375 Fahrenheit. Mix the flour and baking powder as well as salt in a large bowl. Meanwhile, add the flax seed ground in a separate container and mix with four tablespoons of warm water. Let it sit for 3-5 minutes. In addition to that, Add olive oil, honey, vanilla, and the flax seed mixture to the dry ingredients and combine to mix well. Add the chocolate chips and mix. Spray your muffin cups and add a scoop of the muffin mixture to each. The cups should be 2/3 full.B ake for 18-25 minutes. Remove the muffins from the oven and let them cool in their tins for about 3-5 minutes. You can now remove them from the muffin cups. Remember to check for their readiness using a knife or a cake taster. Place the taster in the middle of one muffin, if it comes out clean the muffins are ready. Serve with some tea or as desired. Enjoy! These muffins can keep fresh in the refrigerator for up to three days. In another separate bowl, Mix flax seed with four tablespoons of warm water and let it sit for about three minutes. Put all the dry ingredients; flour, baking powder, and salt in a large bowl. Combine to mix well. Add the olive oil, flax seed mixture, the honey, vanilla and milk to the dry ingredients and mix until they are well blended. In the blended mixture, add the chocolate chips and stir to combine. Spray your muffin cups and scoop your muffin mixture into the cups. They should fill ⅔ of the tin. Bake the muffins for 18-25 minutes. Check for their readiness by inserting a tester such as a knife in the middle of one muffin. It should come out clean when they are ready. Remove the muffins from the oven and let them cool in their tins for about 3-5 minutes. Remove the muffins from their tins and serve as desired. You can use two teaspoons of corn starch instead of the flaxseed if you like. Let me know how these muffins came out and please add a photo in the comments below.